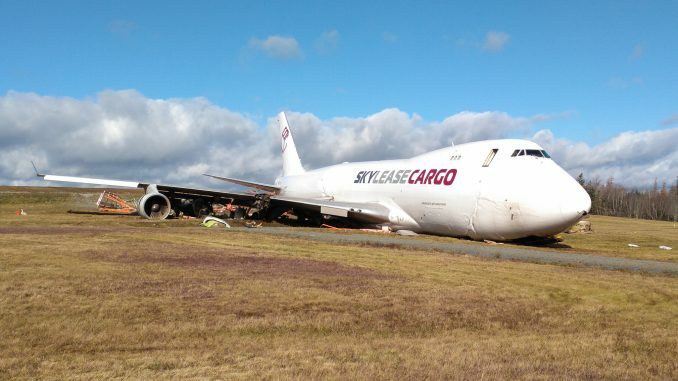 A Sky Lease Cargo Boeing 747-400F on flight GG4854 has overshot the runway at Halifax Standfield International Airport. 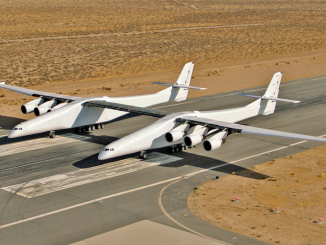 The aircraft (registered as N908AR) was flying from Chicago O’Hare to the eastern Canadian city, where it went off the end of the 2,347 metre (7,700ft) long runway 14/32. 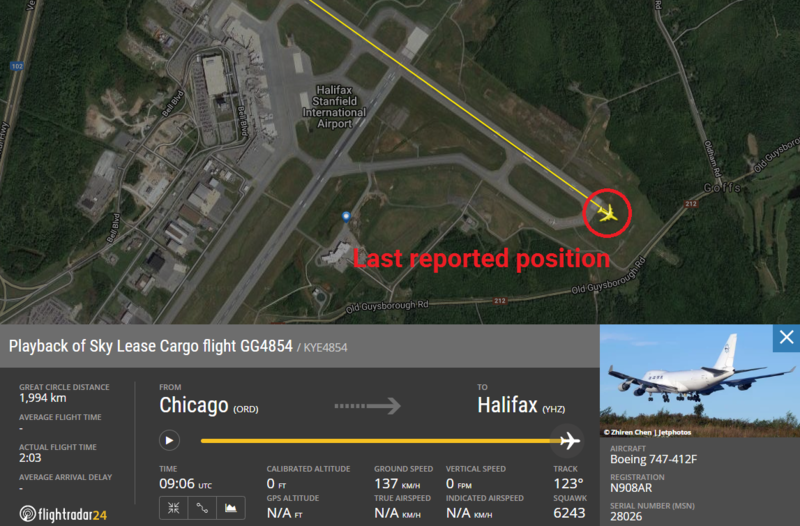 All four people on board survived and are being treated for minor injuries, Halifax Airport says. 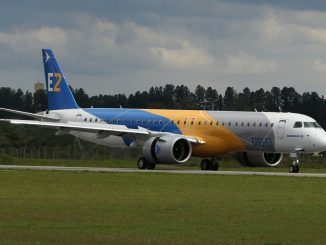 The accident occurred at 05:06 am local time (0906 UTC), according to data from Flightradar24. Canada’s Transportation Safety Board (TSB) has opened an investigation. Pictures posted on social media show that the aircraft has a cracked fuselage and is heavily damaged. There are several reports of a fuel leak.